St James is a community of people who are encouraging one another in our growing in our experience and understanding of God’s love. We have much to learn and don’t have all the answers but we know that in the teaching and life of Jesus Christ we find something, and someone who has the potential to change us. Like all Christians, and all people, we make mistakes but we believe in God’s forgiveness and a fresh start. If you would like to join us in exploring God and his love and grace then you will be made welcome – whoever you are. We are part of the Joint Benefice of St Jame’s Audlem, St John’s Doddington and St Chad’s Wybunbury and work closely with The Methodist and Baptist Churches in the Village of Audlem. 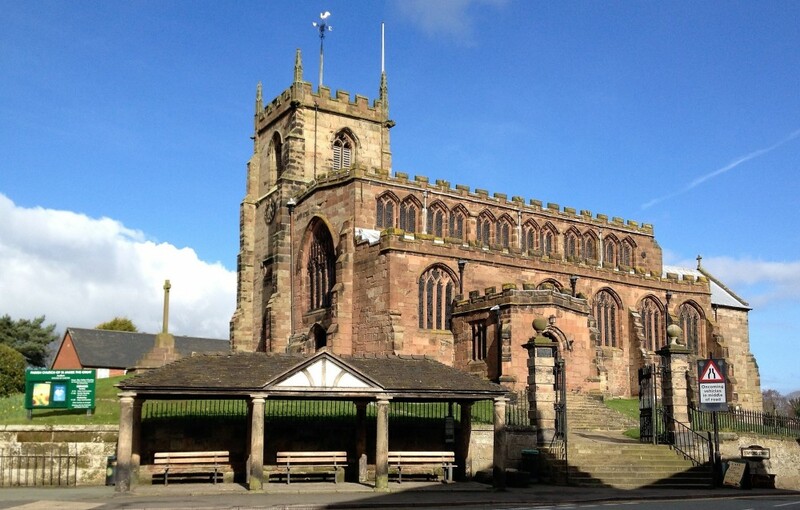 The picture of St James’ Church is often used as a symbol of Audlem. It is a place of worship, week by week, for people of all ages, for the happy occasions as well as the sad. It is open every day for visitors, either to explore its history or to be quiet and pray. It is at the heart of the village in every sense and is a tourist attraction. Today it is in a rather fragile condition. Every 5 years the building is inspected, and the last 2 inspections have highlighted several areas in need of attention. We have already carried out expensive internal repairs to stabilise cracks and the column supports. Our church finances are entirely dependent on the generosity of our group of regular worshippers, but the building is also used by the wider community. We have managed to cover our running costs and repairs over the past few years but this is not easy. The work that needs doing is not glamorous but essential. We need to do the work before it becomes a “health and safety” issue. The work is to the tower roof, the tower masonry and the wall above the west door. We cannot be certain how much this work will cost – but we expect in the region of £75,000. Once we have raised a certain amount of money then we can apply for “match funding” grants – so first we need to do what we can by fund raising here in our community.